I’m working on the Synthbox User Manual. 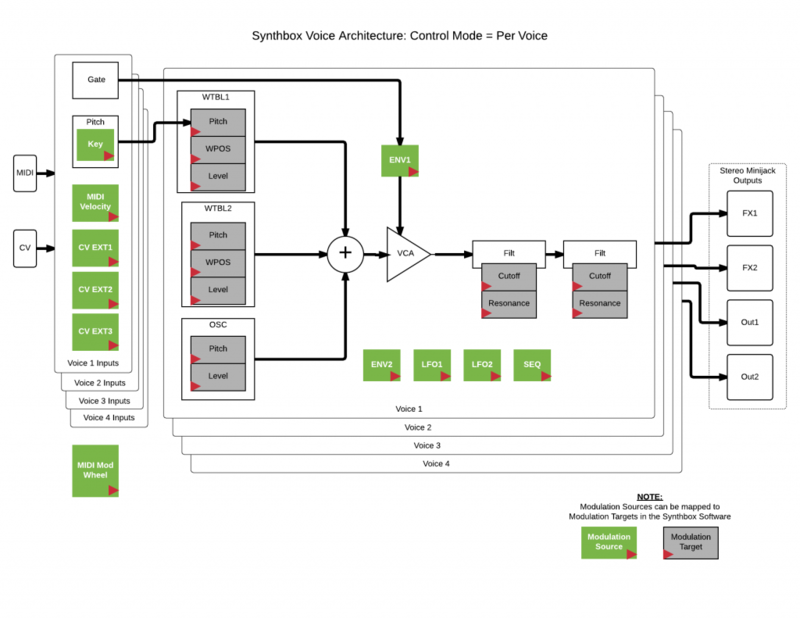 I just finished the Voice Architecture Diagram for when Synthbox is in Control Mode = Per Voice. Take a look and let me know what you think by sharing your thoughts on the forum.